Your no knead bread looks so good. 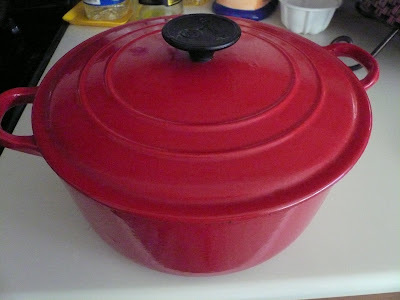 Can we use the normal pot instead of the heavy cast iron pot? Cat, normal pot might not be able to with stand the intense heat. Do you have any deep heavy pyrex dish? Gert,I'm sure going to try your recipe.Thanks for sharing.I know where is Suvillan St Bakery but never know such bread exist.Maybe next time you're in NYC ,we should visit WEST 4th St and West Village:).I just bought heavy cast iron but without the lid.Ok.Let me check again in Macy's. That is interesting. Sounds easy but I must find a cast iron pot first ! Gert ... 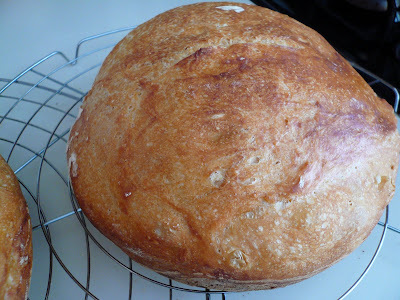 I so love "no-knead" and "hardly any work at all" recipes! LOL. Ignorant Q - what is unbleached flour? I also don't have such a deep cast iron pot. Corning ware can?? oh my god! !i love your blog so much!! Dahla stumbled upon it on the 1st day of Ramadhan..meleleh air liur ni. sounds really simple but what's unbleached flour gert? bread looks really good. you can open a bakery lah!! Beachlover, we should go and visit the bakery the next time we are there in NY. Nonya, beside cast iron pot you can use any ceramic, pyrex, stainless steel or enamel pot as long as it can take the high heat. Rita, when you buy flour on the packet they will state 'bleached' or 'unbleached'. Bleached flour has been treated with bleaching chemical 'benzoyl peroxide' to make it look whiter. For all my baking I will usually used 'unbleached' flour. You can use corning ware as long as you can bake in high temperature with it. Lia, hope you will try it out. You will love it. Silentcikenit, thanks for dropping by. Hope to see you often here. Zaza, here in US we have 'bleached' and 'unbleached' flour. Bleached flour is more for cakes and cookies and 'unbleached' is more for making bread or pastries. 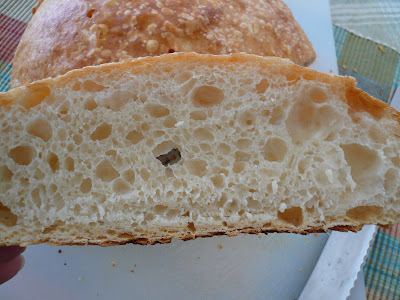 You can use bread flour or any high gluten flour for this bread. Wow...15 hours..to wait the dough. But it looks really good. 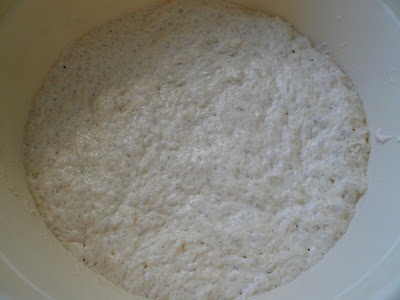 Retno, you just mix the dough up and the next day you just have to bake it. Is easy. Anon, it means tuck in all the edges of the dough underneath. 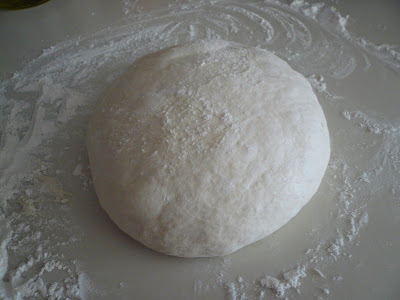 This way you can get a round shape of dough.